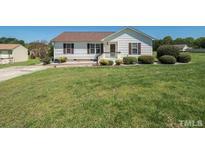 Find Zebulon, NC Homes for sale. View Photos, Maps and MLS Data Now! Great location convenient to US264 and I540. MLS#2250369. 982. Septic Pumped 2018. Close drive to HWY-64. MLS#2250169. 2929. Kitchen is well appointed and there is a huge separate dining Room. 2 outbldgs. Appliances convey. MLS#2250119. 1197. Ready to use for storage or for you to complete and add more space to your new home. MLS#2250105. 3286. The 637 other below grade sqft is basement which is more like a crawl space. MLS#2250032. 4856. Weavers Pond - Devon Floorplan MLS#2249714. 2983. Fox N Hounds - Upgraded features include a new roof and fresh interior paint throughout. MLS#2249791. 4823. Great home with large family room with gas logs fireplace with custom mantle, hardwoods main level common areas awesome kitchen with granite c/tops Stainless Steel appliances, island, tile backsplash, master with large walk in closet lighted fan Kitchen, great bath granite twin bowl vanity and twin globe vanity lights oversized shower with tempered glass door acrylic pan, Chrome bath fixtures through out home, large secondary beds up share jack and jill bath, both with large walk in closets, great lot, handy location. MLS#2249539. 3297. Fully sodded front and back yard will complete the home. MLS#2249497. 782. Woods Plantation - No city taxes, open floor plan, tray ceiling in dining and master, master sitting room, Hague WaterMax Reverse Osmosis System as well as Hydroclean HC3 Tanks for whole house water filtration make this home stand above the rest! MLS#2249600. 4821. Remington Hills - Deck with raised area for your grill. Make this your new Home! ! 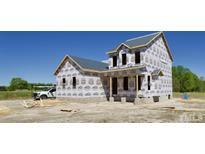 MLS#2249578. 1127. Wakefields Oak Grove - Custom Storage building, you will love this neighborhood and how convenient it is to Zebulon, Hwy 64/hwy 96/Wendell/Raleigh. MLS#2249244. 476. Brantley Woods - Spacious home on a 6.52 acre lot in a subdivision with no HOA!! ! MLS#2249222. 514. Weavers Pond - Middleton Floorplan MLS#2249189. 2983. Family Room w/Gas Fireplace & Designer Mantle! MLS#2249091. 1128. Country Club Farms - Nice size Walk in Storage Room. MLS#2249187. 476. Located just minutes from Raleigh, Wake Forest, Louisburg, and Rocky Mount. MLS#2248860. 3017. Weavers Pond - Pictures Are Of Model Home Some Upgrades Added In Price. MLS#2248589. 2983. Weavers Pond - Photos Are Of Previous Models Upgrades Will Increase The Price. MLS#2248576. 2983. ALL Appliances convey with Full Price offer MLS#2247886. 2905. Brantley Woods - New construction, master & additional bedroom on main floor. 3rd bedroom & bonus room upstairs. MLS#2248222. 514. Upstairs features 2 additional Bedrooms,Huge Bath w/ Double Vanities,Finished Bonus Room with 2 Walk in Closets plus a separate Office Space. The Detached Storage is awesome! MLS#2248445. 476. Weavers Pond - Rear Screened Porch with attached Deck! MLS#2248494. 3733. 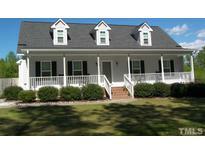 Come see this beauty that is walking distance to downtown Zebulon and close to major shopping and highways. MLS#2248233. 4981. Buffalo Creek - Nice large lot 1.57 acres, backed up to the woods with big Storage Shed. No HOA's MLS#2248482. 81.